Gaslow Gas Lockers which are available in 5 different sizes. 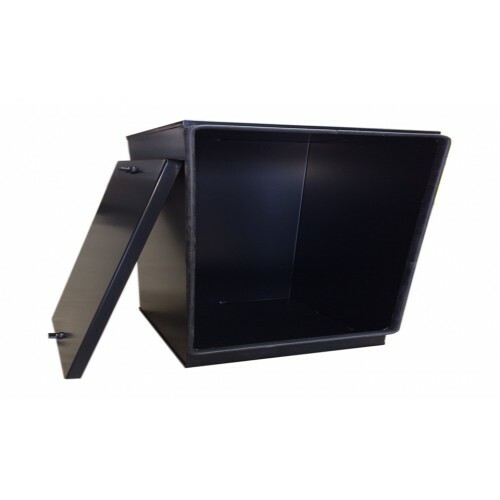 Fabricated from mild steel to create a sealed box with a detachable front cover for easy access. The box is finished in high quality black powder coating. Each locker comes with bottle straps and drop out vent to fit your own components. The gas tight locker is designed with a 55mm lip below the opening to securely contain gas in the event of a leakage and fully complies with BS EN 1949:2011+A1:2013. All gas Lockers are Ideal for van/camper conversions for example VW T4, VW T5 & Vauxhall Vivaro, Fiat Ducato, Ford Transit and Mercedes Sprinter to name just a few. · This gas locker is suitable for Camping Gaz 907 bottles and the Gaslow 2.7Kg Refillable bottle. · This gas locker is suitable for Camping Gaz 907 bottles, Calor Gas 3.9kg, Calor Gas 4.5kg and the Gaslow 2.7Kg Refillable bottle. 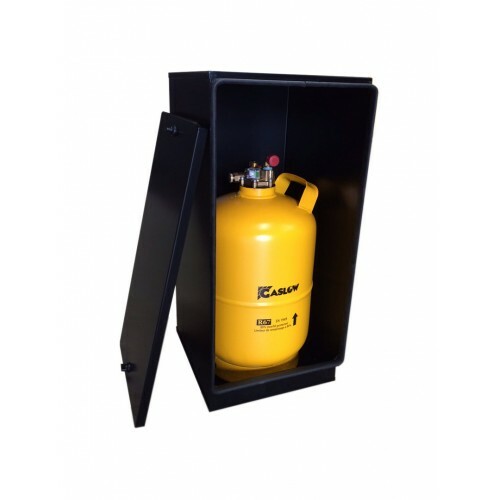 · This gas locker is suitable for bottles up to Calor Gas 6kg and the Gaslow 6Kg Refillable bottle. 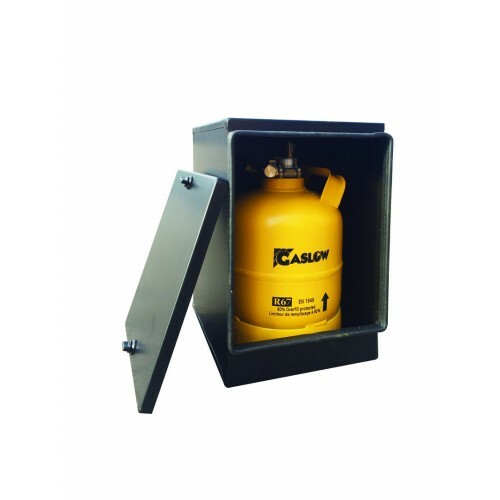 · This gas locker is suitable for 2 x Camping Gaz 907 bottles or 2 x Gaslow 2.7Kg Refillable bottle. 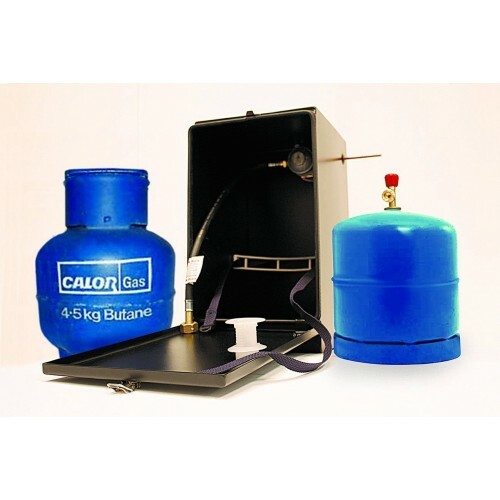 · This gas locker is suitable for 2 bottles up to Calor Gas 6kg and the Gaslow 6Kg Refillable bottle.